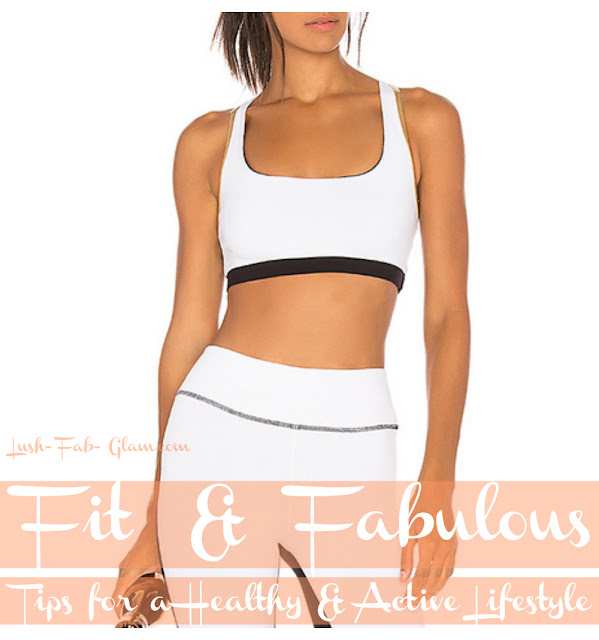 Fit & Fabulous: Tips For A Healthy & Active Lifestyle In Winter. Once the autumn leaves fall away and the cold winter season starts settling in we tend to go into the "baby it's cold outside" mood where it seems so much easier to stay inside by the warmth of the fireplace with a cozy blanket and become a couch potato or lay in bed as long as possible. Unfortunately the longer we stay in hibernation mode the harder it is to snap out of it and unlike the bears we cannot afford to hibernate until spring arrives. So what do we do to snap out of it so we can continue to live the healthy and active lifestyle we so happily embraced during the warm spring and summer seasons? Read on to discover our effective tips for incorporating exercise into your busy lifestyle this winter. This is especially beneficial if you do not have a fixed workout routine, can't make it to the gym or missed your planned workout time. Taking walks up and down the stairs through out the day is equal to active, outdoor speed walking or jogging. Doing household chores like vacuuming, sweeping and mopping also helps to keep you active with the added bonus of having a clean living space which plays a huge roll in living a healthy lifestyle. Whether you are headed to the grocery store, doctor appointment, hair salon or the spa etc. Your time away from work and home can be used to engage in healthy lifestyle practices even while running errands. For example parking further away from your destination gives you the opportunity to walk there. All these little things add up! Keeping your muscles engaged throughout the day will keep your metabolism in burning mode. Sitting at your desk all day long can have an adverse effect on your muscles, posture and bones. Taking regular bathroom breaks is the perfect time to get your blood and oxygen flowing and to move those muscles. Taking the stairs instead of the elevator or escalator, walking briskly on your way to the office lunch room, meetings or ladies/men's room definitely helps and performing simple exercise routines at your desk exercise like upper body and leg stretches also helps to reduce your work stress level. The winter season seems a lot less frigid when we engage in outdoor activities that allow us to acclimatize to the lower temperatures. You can stay active and enjoy the outdoors during the cold winter months by bundling up and going for a walk with a warm cup of tea or hot chocolate in hand while enjoying the window displays of your favorite historic or shopping districts. Heading to a park to enjoy the beautiful snow fall, icicles and iridescent winter landscape also has it's perks. For those of us who are not afraid of the slopes, skiing is also a fantastic way to get a work out. It's hard to find gyms and workout studios when you're away from home and on the move. The solution is to travel with a few weights and resistance bands and do a quick 20-minute workout in your hotel room. Not a fan of weights? Twenty minutes of stretches, jumping jacks, sit-ups, push-ups and basic yoga will do the trick too! Go Dancing! We don't mean take dance classes where you have to follow precise steps, what's care free about that? Instead we want you to put on your dancing shoes, call up a few friends and hit up your favorite night club, jazz bar, lounge or get tickets to a music festival or concert. You'll be on your feet, moving to the beat, dancing to the rhythm and even working up a sweat but no gym clothes required, all you need is your 'girls just wanna have fun mood'.